Quality being the prime concern, we offer functionally advanced range of GI Weld Mesh that is acclaimed among the clients for wide usage and easy application. They are thermostatically balanced in nature and can withstand extreme pressure and temperature. Our entire product range is weather-resistant in nature and is durable. 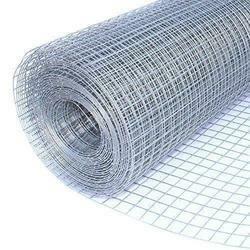 Our association is broadly known for maintaining the quality in offering Wire Mesh.